Prominent & Leading Manufacturer. 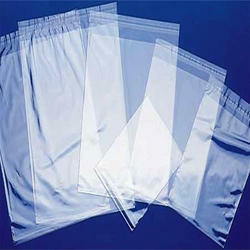 We offer pp plain bag, pp transparent plain bag, pp plastic plain bag and plain low density poly bags. We are indulged in Manufacturing and Wholesaling a wide range of PP LD HDPF HM BOPP,Garbage Bags,Stretch Wrap,Air Bubble Film Roll. We also provide Printing Services to our client.